Blog > News > Explore LoveKnitting’s new app! It’s knit-tastic! 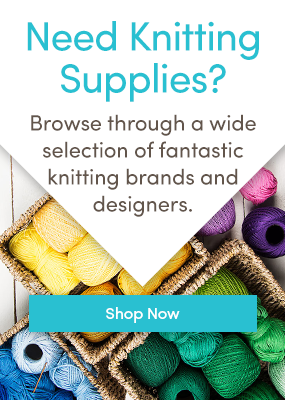 Explore LoveKnitting’s new app! It’s knit-tastic! We’ve got an app! Designed by knitters, for knitters – it’s too exciting for words! Get your iPads out ready for action! For too long, we knitters have wrestled with an endless array of pens, paper and tools in order to do what we love. I am a woman of a certain age, and not one given to technical prowess – and until this week, when I sat down to knit, I was surrounded by the following: a ruler for reading charts, a crumpled piece of paper to write down my pattern rows and tick off as I go, the pattern I’m working from, my iPad for checking stitches and ordering yarn, and a large cup of tea. A great deal of my knitting happens on on the go – on sofas and in bed, in cars, trains and waiting rooms, and even in the garden – so I cart this collection around with me everywhere I go. But not any more! The clever folk here at LoveKnitting have designed an app to transform the way we knit! Designed by knitters, for knitters! At first glance, I was in love! You can view all the patterns you’ve downloaded in one library – enlarge the charts and text, and even slide a ruler up and down to keep a check of rows and stitches. With the touch of your finger you can slide the ruler to the row you’re working on, and clock up stitches with the stitch counter. Genius! You can mark the stitch you’re working on too. Use the ruler to keep track of a pattern, and use the zoom facility to enlarge text and charts! Never lose your place working a chart again! The easy to use pattern reader means you can work through your entire LoveKnitting pattern library row by row, with help from the zoom feature, row counter, marker, and other handy tools. I love writing on my patterns, and you can easily add notes and doodles to every pattern – and photos too! Why is this app different? I’ve avoided knitting apps until now because they don’t speak the language of knitters – with no easy way to access patterns and keep them current and updated as you follow them – I love the fact that I can zip in and out of a pattern and the app will remember where I am and what I’ve done! The app is currently available for iPads, but availability for iPhones and Android devices are coming soon. It’s easy to use. I don’t want to waste time trying to make my knitting fit an app – I want an app that fits my knitting! If I can do it, you can do it! New inspiration every month with six FREE and exclusive patterns! Don’t wait a minute longer! Download it from the App Store! Last updated: October 18th, 2017. 90 Responses to Explore LoveKnitting’s new app! It’s knit-tastic! Love knitting anything from Jumpers cardigan to knitted toys for over 40 years . Just finished hats and snood for winter. That’s fantastic! And you’re already prepared for winter! I’ll be following your lead and starting some hats very soon! I have an Android so keep those of us posted! This sounds wonderful. Is there an android version? If not, WHEN?? I agree!! When will there be an android version? I cannot wait to stop carrying around all the paper patterns!! Hi Cindy, there’s an Android version coming! We want all our knitters to be able to use this fabulous app! Thank you! I got the email about the new app, was really excited, and then my heart fell – iPad only. I’m happy that there’s an Android version in the works, I’d love to be able to use this! I was just about to ask that question. Can’t wait. So glad that Android users haven’t been forgotten. Will be checking daily for news. I agree too! Why is everything for apple? Some of us prefer not to use them! Our clever tech team are working on developing the app for other platforms too! Android next! Are they also working on a Windows app? I would love to have this. I look forward to the free patterns . . . I loved knitting the Fittleworth Cowl – it’s on the app at the moment – it’s a quick knit but it’s really fun! Knitted in the round with slip stitches – it looks really complicated but it’s so easy to do! Yes, me too! I have an android tablet. When is this going to be developed for us? GREAT APP! When will you be able to import patterns to it? I love this thing! No more carrying and juggling paper and pencil when on the go. Thanks so much! When you log into the app with your LoveKnitting login and password, you will be able to see all the patterns that you’ve downloaded from LoveKnitting or LoveCrochet. This app sounds great, I would like to use it, but what about android users? Will the app be coming out for android users? I love my android tablet and am not about to switch to an apple product because of one app. If this app was released for both platforms I think you would have a bigger customer base. Apple users aren’t the only ones out there. We had to start somewhere – but our tech team are working on an Android version too and we’re hoping it won’t be too long! Is there a way to delete patterns from the library? Can a Love Knitting user import patterns from Ravelry? All my patterns are in Ravelry…. What a great idea ! Unfortunately I won’t be using this app until I can import my purchased Ravelry patterns . All I have are the Nook tablets. Is there going to be an app for them? I’d love to have it! I’m with those that are asking for an Android version. I appreciate that software developers have to start somewhere but why is it always with Apple. Would be nice to start with Android first occasionally. I completely understand your disappointment, but rest assured an android app is on its way! That’s great. Can’t wait to try it. Sounds great, but most of my patterns are Ravelry downloads too. I have the pdf’s saved on my computer. would I be able to import them onto this app, or will it only work with your own downloads? At the moment only the patterns in your Loveknitting account are accessible on the app, but I will certainly make a suggestion to the app team for a PDF uploader feature! That would be brilliant. Most of my downloaded patterns are PDFs from Ravelry too. But I’ll definitely give this a go on the iPad. Android phone can wait! I’ve downloaded it – will it automatically download all my patterns from LoveKnitting? Sorry – just answered my own question – library is now updated!! I have many many patterns saved in IBooks. Will they transfer over? And if so — how? The flipping set of facebook,Twitter,Pinterest etc icons that sit on the left hand side and covers up the first few letters of every sentence unless you scroll way up or down. Can you please please move them to the right hand side, or the top or bottom of the page? It is such a silly idea to have them on the left side, but so many site do this, so please stand out from the rest, and lead the way to a better set out. Thanks for the app, and otherwise wonderful site. I agree Clickety, those little icons are maddening!!! I agree, Clickety, about the placement of those goofy social media icons. Too big and in the wrong place! They can be placed anywhere on the top or bottom, and smaller, please! Will the app be available for iPhone? It says it’s only an iPad app. Can’t wait for the android version! Then I can take my knitting on the go instead of having to carry my laptop with me all the time. What about old paper patterns can we scan them onto the iPad and use the app? Hi it sounds good but I actually use a MAC book air as it is lighter to carry than my iPad. Can I download the app? Let us knowif they can do the PDF uploader as I too have most patterns as pdfs. The knitting app is a great idea, thank you. Android please! Some of us already know Android is a far superior platform. Will you be able to import patterns that are saved on the computer. I tend to download and save my patterns in files on my computer. Android please!! My Note 7 and I are soooo ready for this! I also will be eagerly awaiting the android version, hope it’s not too long in coming! please can i have this for my Microsoft Pro tablet?? Can I get this on my Kindel Fire? I would love having all my patterns in one place, not just the ones from you. Is this possible? You need to offer an app for android phones asap – lots of us are not fans of Apple! Impatient for the Android app!! I need this in an android app asap. Is this all going to be on Kindle? Their android is different. Yeah, the Kindle platform is just a bit different than android. I can sometimes use android apps—-sometimes not, don’t know why though. The Kindle seems to operate more like an I-pad than an android device. It would be nice to have this app for Kindle Fire so that when you are traveling around, everything you need to”be you”, is in one place—-books, including knitting books, e-mail, social media, grocery lists, calendar, notes, etc. My Kindle Fire so organizes my life, and I already know how to operate it. The new knitting app is the best I’ve tried so far; so much easier to navigate and reliable than others I’ve seen. And… it’s FREE!!!! What more could you wish for ? Don’t have an iPad, but let me know when the iPhone version is ready! I too am eagerly awaiting the android app. If you could include the ability to upload pdf files also, that would be the best app ever designed!!!!! Looks cool! Where’s the Android love?? I love to knit like making shrugs, do you have some cool shrugs to knit? Looks like I’m not the only one who prefers Android. Do you have an estimate when the android version will be available and will we get notification by e mail? I’m wondering if you are planning a similar app for the crochet people. My knitting ability is casting on and off and a few basic stitches. As I only crochet I feel left out on all the excitement. will you be able to use patterns you already have in app? Tries the app it’s ok but no better than importing them into iBooks, the down side is you can’t import from anywhere else. I purchased the Minimissimi Sweater Coat pattern in english and downloaded it to my desktop easily. I have added the Love Knitting app to my iPad. Why don’t I see the pattern I purchased in the account library? This is the best app I’ve seen for knitting. I would give it the highest rating if I could add any PDF I have. I would pay a reasonable fee to do so I get you want to promote love knitting but we all have patterns from all over. Thanks. You’re missing a huge opportunity and ignoring a huge audience by offering an apple-only app. The number of android users far outnumbers the number of iphone/ipad users. Apps for android are far less costly to develop because of apple proprietary control. Too bad. I would have liked to use your app but you’ve cut me out. Looking forward to the android app! Glad to see one is in the works. I knit toys and blankets for a local cat rescue charity (currently the cat with the extensive wardrobe from the Knitables range.) The app is going to make managing my work so much easier. Any idea when the Android version will be available? Rest assured we do have an Android app being worked on. Our wonderful tech team are working hard to build it but I’m afraid we don’t have an estimated release date just yet.